It took me sometime to find the correct group which this orchid belongs to. 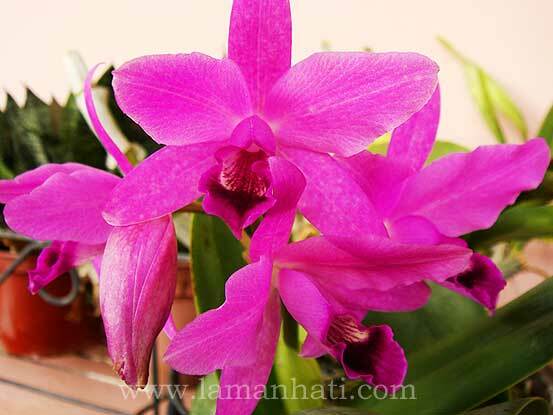 Initially I was given the bulbs by my SIL and since I never see the flower, I was not sure whether it is the usual dendrobium or something else. This group of orchids have short thick stems topped with usually a single stiff leaf. The flowering spike emerges from the top of the short stem surrounded by a papery sheath (like a pea pod). This is burst open by the growing flowers within. The plants produce strong ‘pseudobulbs’ topped with one or more leathery leaves. The flowers arise from the axil of the current year’s leaf where a protective sheath usually develops, and come in a range of colours from white and pink to green and purple, depending on the parentage and genera. Some flower twice yearly. 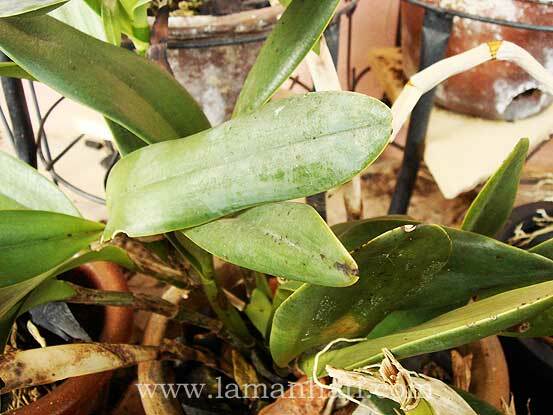 For those interested to try their hand in growing Cattleya orchid, be warned that this kind of orchid is quite a tough plant but do not over water them. For feeding requirement, use high nitrogen feed to boost growth and high potash feed to ripen the bulbs.